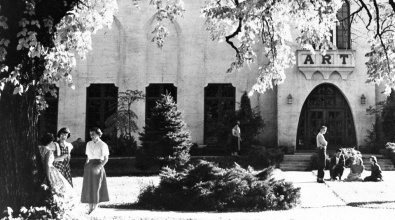 The Springville Museum of Art is Utah’s first art museum, dedicated as a “Sanctuary of Beauty and a Temple of Contemplation” by David O. McKay in 1937. The impressive permanent collection of 150 years of Utah art, twentieth-century Soviet Realist art, and American art shares space with juried shows of contemporary Utah art. Founded with a commitment to quality, life-affirming art, the Museum recognizes the seed of potential within each individual and seeks to nurture growth through the creative process, positive cultural values, and a belief in the beauty of life. Through the vision and generosity of Museum donors, visitors, members, and volunteers, the Museum is able to fulfill the mission of its founders, Cyrus Dallin and John Hafen, in refining minds and building character through fine art. 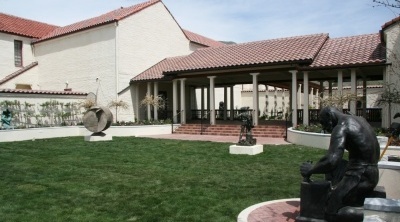 The Museum is a non-profit fine arts institution, and has provided cultural and educational opportunities to residents and visitors of Utah for nearly 100 years. The history of the Museum began in 1903 with the donation of two works of art to Springville High School by artists Cyrus E. Dallin and John Hafen. Dallin became famous for his Paul Revere sculpture in Boston and his heroic depictions of the American Indian. Likewise, Hafen became well known for his sensitively rendered impressionistic landscapes. 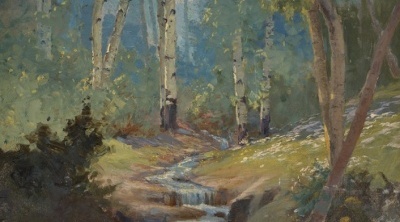 In 1907, a number of Utah artists agreed to donate paintings to the school, including James T. Harwood, John B. Fairbanks, and Mahonri M. Young. The students became interested in art and collecting and began purchasing paintings and sculpture through an “Art Queen” program. Each student paid a penny per vote. The girl with the most votes was named queen, and the funds were used to purchase artwork for the Museum’s collection. Cultural and educational offerings at the Museum have expanded over time in response to community desire and need. A Paris salon-style exhibition was put on in 1921 by the high school students, which has continued as the Annual Spring Salon to this day. 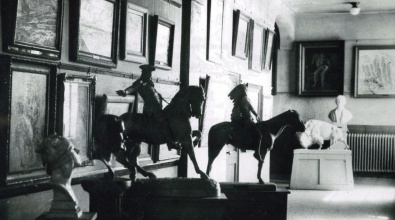 In 1925, the Museum (then called the High School Art Gallery) became incorporated. Generous donations from the Smart, Steed, and Lund-Wassmer Collections have strengthened the Museum’s permanent collection. 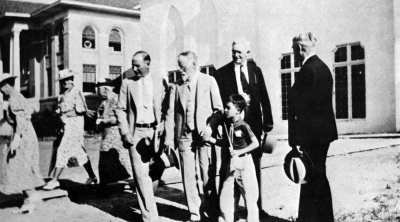 By 1935 the collection had grown so much that the students and townspeople raised $100,000 during the Great Depression to construct the present facility. 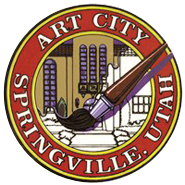 Additional money came from the City of Springville, the LDS Church, and the Works Progress Administration (WPA). The Museum has since been expanded and modernized with the addition of the Clyde Wing in 1965, and the George S. and Delores Dore Eccles Wing in 2004. The new wing doubled the size of the facility, adding 20,000 square feet to the Museum. The latest addition is the beautiful Sam and Diane Stewart Sculpture Garden, dedicated in 2009.